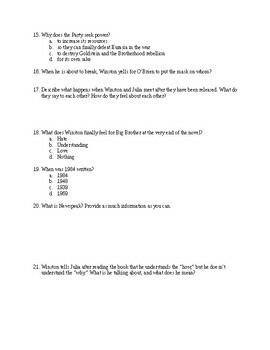 This is a simple and straightforward test that is meant to be taken after reading the novel in its entirety. 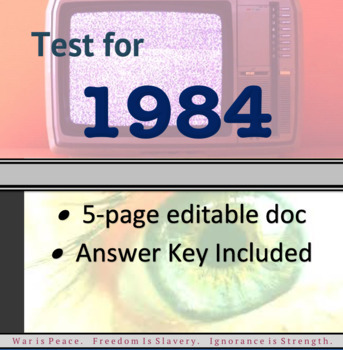 It includes questions about Orwell's society, specific characters, plot overviews, and specific quotations that students will need to identify. 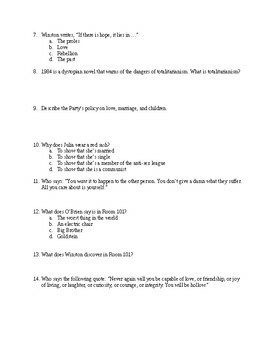 There are three extra credit questions as well. You might want to consider letting students use their books, but obviously that will depend on the students' abilities and your preference. This also works well as a make-up test.